Quinn Hansen portrays Jeremy in South Eugene Theater's production of Be More Chill, opening November 1st. The musical sensation Be More Chill is preparing for its Broadway premiere in 2019, but South Eugene High School is getting ready for their own opening of the musical this week. 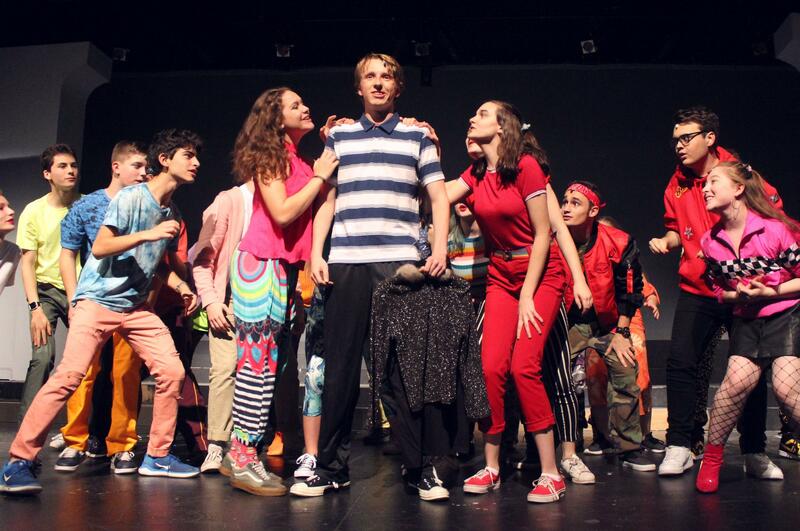 The musical’s premise is simple enough- an unpopular high school student takes a pill - which is actually a tiny computer that starts controlling him- to make him popular. It’s a cautionary tale, and you don’t have to be a high schooler to relate. After all, who doesn’t want to be more chill? South Eugene Theater students rehearse for their production of Be More Chill. 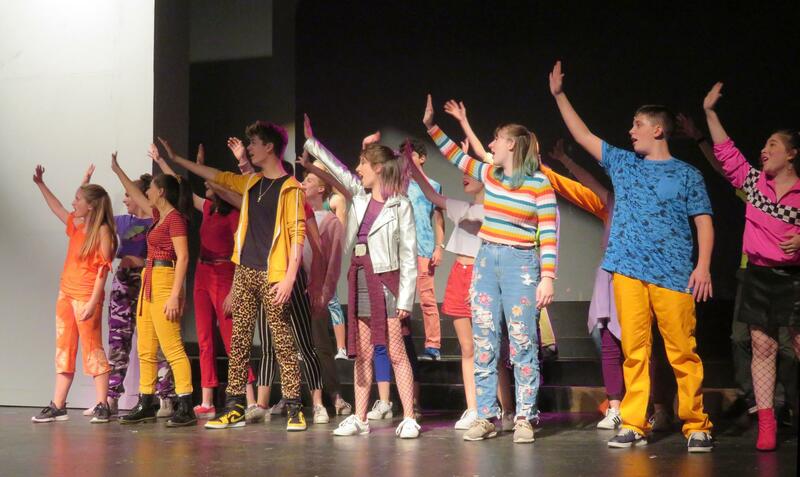 Thanks to a cast recording from an earlier, small production in New Jersey that went viral, the sci-fi teen musical had social media buzz even before it opened for a sold out, limited edition run off-Broadway run this past summer. Now South Eugene Theater is one of only two high schools on the West Coast showing Be More Chill this year. 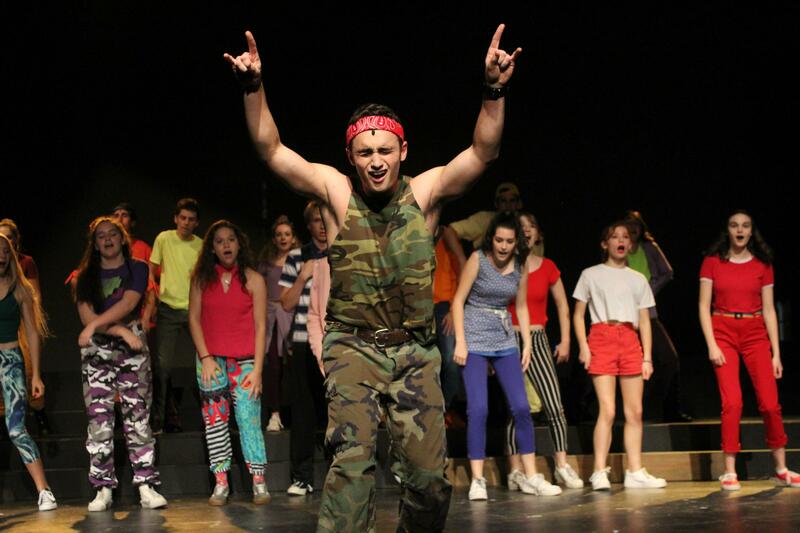 Director Pat Avery says with the show heading to Broadway, South’s production is a real coup. “The fact that we’re getting to do this show right in the middle of that is pretty unusual and pretty awesome,” says Avery. Jared Menegat portrays Rich in South Eugene Theater's production of Be More Chill. 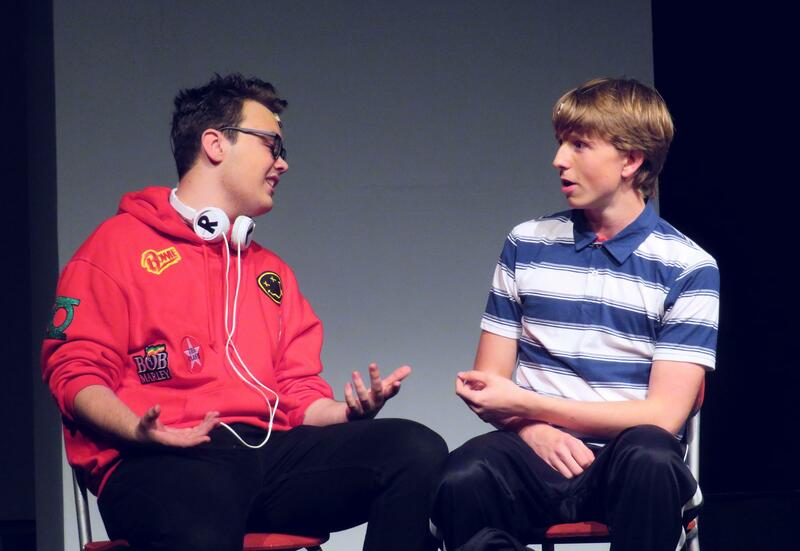 Townes Genoves (left) portrays Michael, and Quinn Hansen portrays Jeremy in Be More Chill. Be More Chill opens Thursday, November 1st and runs for three weekends through November 18th. For tickets, see South Eugene Theater’s Be More Chill Ticket Information.